Awkward. Black. Girl. 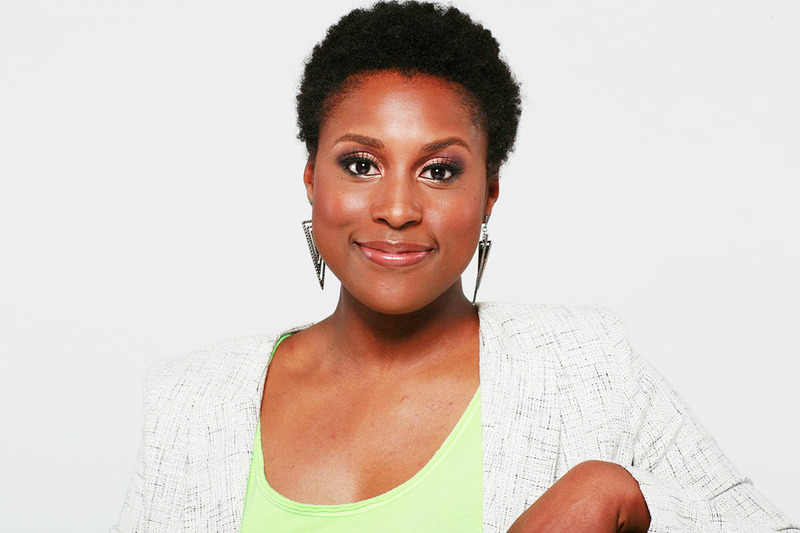 Three words that resonate with not only me, but millions of other people including writer, producer, and hilarious personality Issa Rae, who created the hit webshow Awkward Black Girl. This series follows J, an African-American woman, and her "awkward" antics with her friends and co-workers, including best friend CeCe, arch-nemesis Nina, and love interests White Jay and Fred. The witty and charismatic voiceover of J that carries the series, as well as the relatable uncomfortable situations she gets herself into, garnered over 20 million views and over 180,000 subscribers on YouTube, becoming an instant hit. Just my luck that the genius that is Issa Rae visited the University of Chicago to have a panel discussion with Jacqueline Stewart, a UChicago Professor of Cinema and Media Studies. Not only this, but I was also fortunate enough to get the chance to have a casual discussion over lunch with her and 30 other lucky students about her upbringing, inspirations, and future projects. Rae, born from an African-American mother and Senegalese father, grew up in Potomac, Maryland, where, "things aren't considered 'black,' like the swim team and street hockey and Passover dinners with Jewish best friends." After moving to Los Angeles in the sixth grade, she was enrolled in a predominantly black middle school in which she was “berated for ‘acting white'" and initially found it difficult to "fit into this ‘blackness’ I was supposed to be." She then attended Stanford University where she created music videos, wrote and directed plays, and created a mock reality series called Dorm Diaries for fun that soon began to spread not only throughout the Stanford campus, but throughout other campuses like Harvard University and Duke University. She worked with her good friend Tracy Oliver on Awkward Black Girl, which was created to question the stereotypes of Hollywood portrayals of black women, and starred as Nina in the series. Her other series, Ratchet Piece Theater, The "F" Word, Roomieloverfriends, and The Choir, focus on authentic relationships and portrays of black culture. In 2012, Rae made it to the Forbes 30 Under 30 Entertainment list, and Awkward Black Girl won the Shorty Award for Best Web Show. HBO is now working with Rae on her new television show Insecure, which Rae will be starring in and directing. This show follows the friendship of two modern-day black women, Issa (Rae) and Molly (Yvonne Orji), and all of their uncomfortable experiences and racy tribulations. It was an honor to meet one of my role models and get an inside look into her perspective on issues that are prevalent to my life. Rae's first book The Misadventures of Awkward Black Girl is available in stores now, and there has been no release date for Insecure (but keep a lookout)! Apr 10 Rihanna's Anti World Tour: A Must-See!